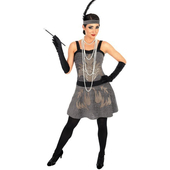 Bring back the roaring twenties with this 1920's cocktail party dress. The dress features a elasticated straps, zip closure to the rear,an extra underlay for added comfort,and an image embedded across the front. To complete this look a matching headband with black feather is included. 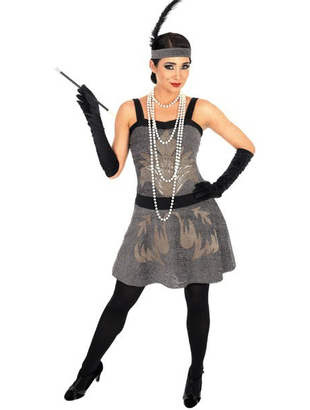 Necklace, gloves, tights and cigarette holder may be purchased separately. Great fit and really looked the part at our Gatsby 1920's party. Very good quality and value for money. Wore this out tonight and was very impressed. Lots of nice compliments received. 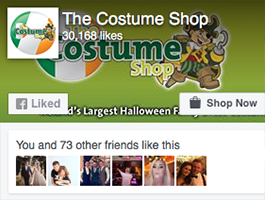 Would have expected to spend a lot more for this costume.